Cynthia Bailey Says She's Glad to Be Free of NeNe Leakes! Things between former BFFs Cynthia Bailey and NeNe Leakes have taken a nasty turn! The ex-supermodel appeared on the Jenny McCarthy show this week and is claiming that her former friend held her hostage in their friendship. And Cynthia also questions if she ever had a real friendship with NeNe Leakes. The Real Housewives of Atlanta star has been on a press tour to promote her new Seagram’s beverage drink and using air time to discuss her conflict with NeNe Leakes. 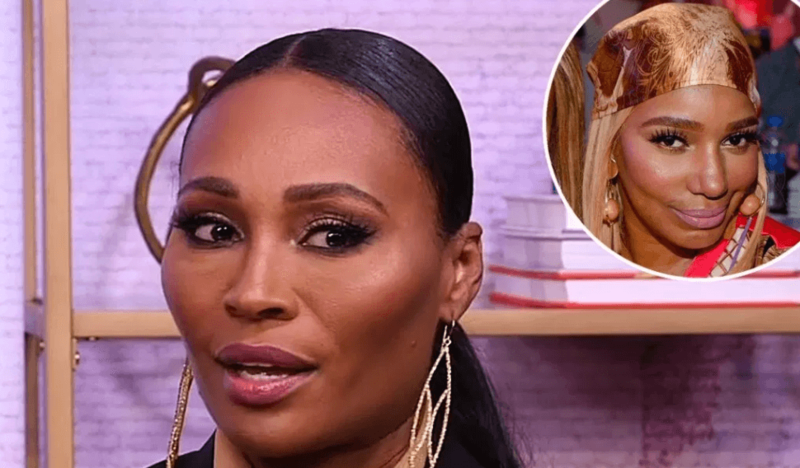 Cynthia Bailey also appeared on the Strahan and Sara Show Monday to dish about the aftermath of the Real Housewives of Atlanta finale and what that means for her friendship with NeNe Leakes . During the finale episode, Cynthia Bailey hosted a party to announce her new Seagram’s cocktail beverage. Drama erupted after NeNe Leakes discovered former Housewife, Kenya Moore, was in attendance without getting the heads up from party host/close friend, Cynthia. Cynthia vehemently denied knowing Kenya Moore would show up and claimed Kandi Burruss was responsible for bringing the former Miss USA to the event. However, Cynthia was exposed when a live mic caught her trying to cover up that she plotted to bring NeNe’s rival Kenya Moore back on the show without Leakes’ knowledge.